Up and running with CaptureLife in 14 days, CLIX MN makes a great experience an indelible memory for competitive youth soccer teams from around the world. 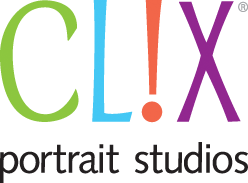 CLIX Portrait Studio of Minnesota has a proud tradition of school, graduation and business portraits, team and individual sports, family portraits and more. Previously part of a franchise, they’ve been independent now for 3 years, and their diversified photography business is going strong. But for Sandy Pawlynszyn, owner of CLIX MN, and her team, the Schwan’s USA Cup is the premier event of the year. For 8 years, CLIX MN had been working with the Schwan’s USA Cup event – the largest international youth soccer tournament in the western hemisphere. 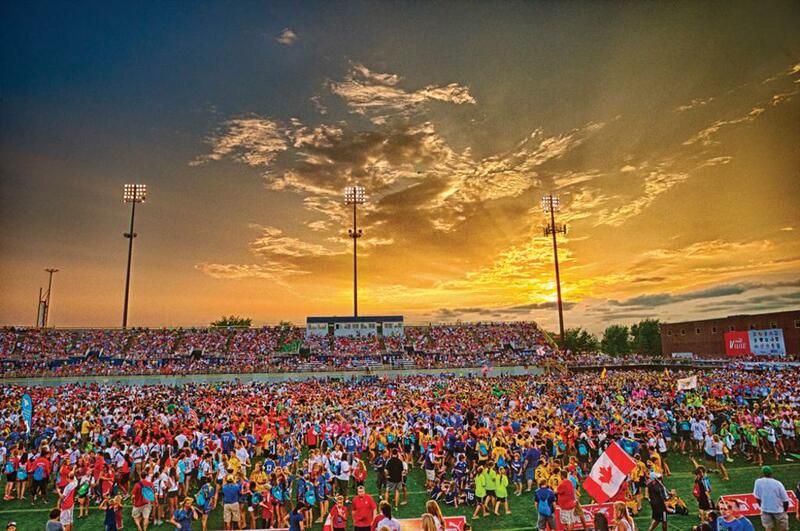 For over 30 years, teams from around the world have come to Minnesota to participate in a soccer tournament experience that leaves a lifetime of memories. Working closely with leaders of the USA Cup and with coaches and teams from around the world, CLIX MN has been helping commemorate what is truly an Olympic-like experience for these youth athletes, complete with opening and championship awards ceremonies. 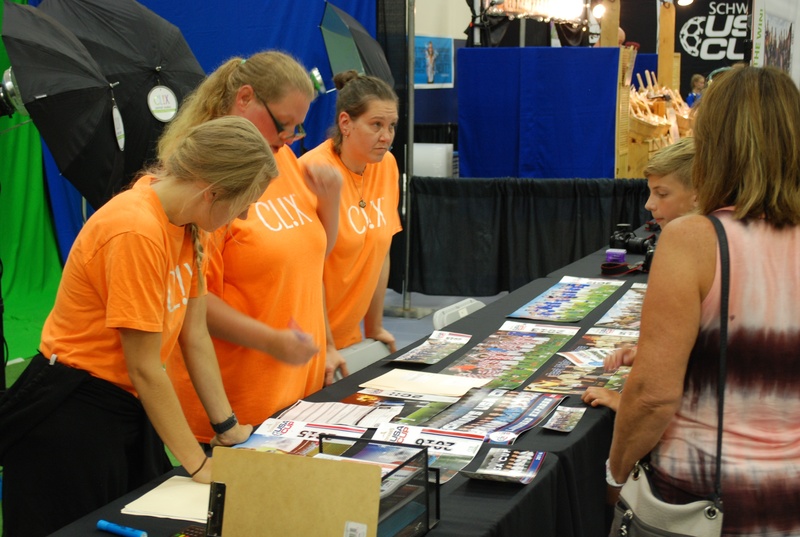 To do this event, CLIX MN moves its entire business on-site to the National Sports Center in Blaine, MN for the 10-day tournament, including cameras, backdrops and green screen, editing suites, and printers. They set up a studio, but also take the pressure off coaches and players by traveling out onto the field to photograph the teams. CLIX also prints right at the tournament, delivering beautifully composed panoramic posters and photos in under 4 hours to excited participants. For many teams, the Schwan’s USA Cup represents a once-in-a-lifetime opportunity for world-class competitive play. Teams from all over the world may have saved for 3 or 4 years to travel to this tournament, often with sponsors back home who help them make the trip. And aside from a few chaperones, most parents aren’t able to travel to the tournament to watch their youth athletes compete. So when Sandy was introduced to CaptureLife mobile delivery and CaptureLife Video Stories, she knew that it would be just the thing to extend this unique experience because so many of the sponsors and families can’t make the trip. Sandy had heard about CaptureLife and CaptureLife Video Stories through Richmond Pro Lab just two weeks before the Schwan’s USA Cup. With fourteen days to go, she got on the phone with Zach Hahnen, CaptureLife customer success manager and Scott DeFusco, CaptureLife CEO. Once Sandy understood the ease of digital delivery and the opportunity of adding to the experience of the entire tournament with Video Stories – she was convinced she had to try it. 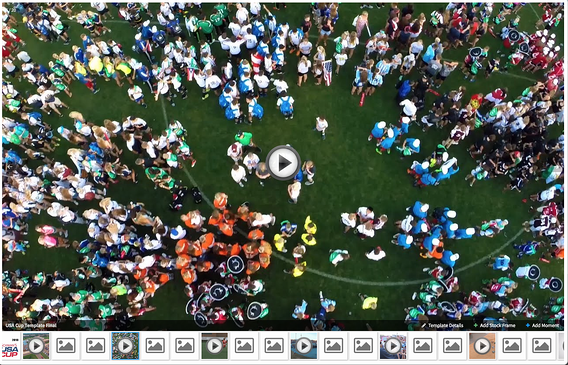 Working with the CaptureLife team in that 14-day window, Sandy and her team were able to create their video story template for the USA Cup event, including video clips of last year’s opening ceremony and tournament play. Interspersed within that template were open frames that could then be automatically populated with the photos taken during each team’s photo session – including fun buddy photos and that beautiful panoramic poster. Because CLIX MN had only 14 days to the tournament, they didn’t have time to market CaptureLife digital delivery and Video Stories as new offerings. So Sandy decided they wouldn’t charge for the service this first year and to use it as an opportunity to better understand the value. But what she did do was eliminate all discounts they had previously offered and create a new, more valuable package. When teams signed up for a CLIX MN photo session and purchased 10 posters, they would get all their digital images from that session along with the commemorative video. Sandy and her employees were thrilled. By eliminating the layers and layers of discounts aimed at getting people to buy more, it simplified sales and operations on-site, maintained the value of their services, and saved them money. Even better, the CLIX MN team could see in real-time how they were adding to the excitement of tournament both on and off the field. Not only did CLIX MN delight the teams that signed up for their team poster sessions, but they also spurred interest among others who hadn’t. They got calls and walk-ups from other teams and clubs telling them that had seen the photos and videos – something that hadn’t happened before. And the international teams loved it. CLIX MN had never before offered a digital version of a poster, and those international teams truly appreciated it because it’s not easy to get posters in a backpack or luggage and then on a plane and safely home. With a fast and successful introduction at this year’s tournament, Sandy and her team plan to build a robust marketing program for next year – giving her USA Cup partners ample time and information to share with the teams they email and talk to. Delighted tournament sponsors. Captivated teams and youth athletes. Sponsors and parents that can share in the excitement of a world-class event. That’s the way CLIX MN is moving a signature event from a transaction to a community-building experience that customers, participants, supporters, and followers both near and far away will never forget.